Tight spaces are always a problem when connecting your HDMI cable. proLink4K1-150 saves time and efforts in your cable setup! This 90 degree HDMI cable gives you the flexibility you need without risking bending your HDMI cables excessively, which may damage the cable or even worse the ports on your expensive equipment. 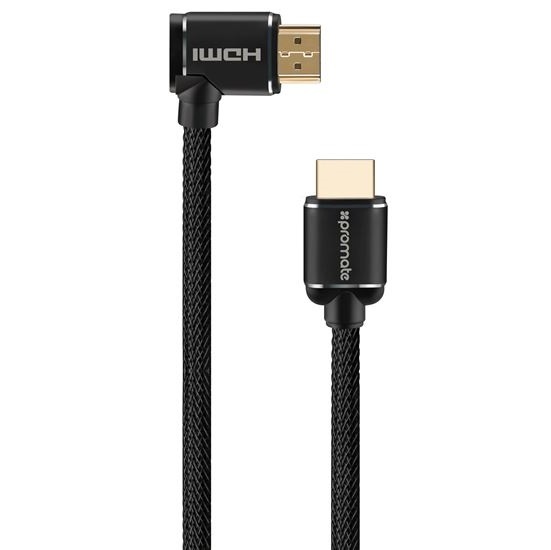 The bend on the cable will help ease the strain at the point of connection to eliminate damage to the HDMI ports on your television and other devices.